For more than 30 years, it has been our pleasure bringing beauty and joy through the magnificence of fine jewelry. Our Jewelry draws inspiration from today's different cultures while delivering the classic exactness of Italian Design. Our collection is the fruit of innovative designs and skilled craftsmanship. 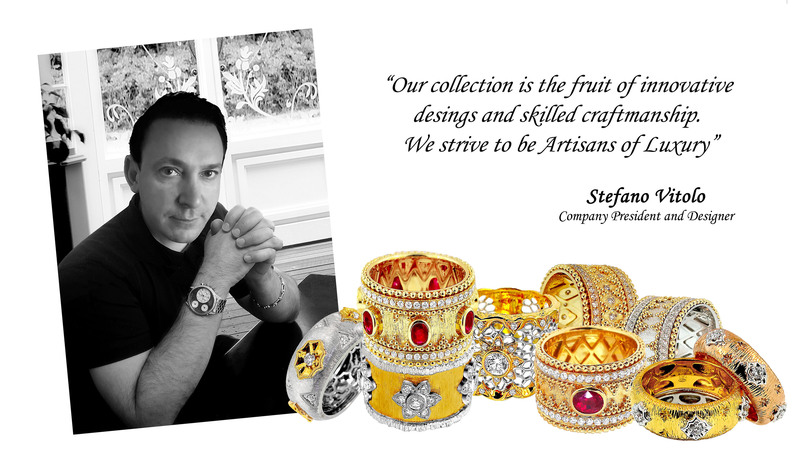 We strive to be Artisans of Luxury! Our headquarters are located in Modena, Italy. Situated in the beautiful region of Emilia Romagna, Modena is the birthplace of many of the world's greats, including tenor Luciano Pavarotti and the famed Ferrari™ automobile company. We deliver our product via our fine retailers through our worldwide distribution and service center, conveniently located in California, USA. For any customer service or repair needs, someone will be available to provide assistance to our customers from this office. If you are interested in becoming one of our retailers or for a retailer near you, please contact this office.